I have used carrots, celery, spinach and green pepper along with fresh chopped parsley and bay leaf for added flavour. The soup looks and tastes deceptively creamy but is actually a healthy and nourishing choice for a mid-week dinner. Here’s the recipe if you want to give it a go. 1. Chop up all the vegetables and set aside. 2. Melt butter in a pot and add bay leaves, onion and garlic. Cook until the onions soften. 3. Add chopped celery and carrots and cook for a minute or so before adding the chicken stock to the pot. Stir in the chopped parsley as well. 5. Add the spinach towards the end and cook for another couple of minutes. 6. Mix the cornflour with a bit of water to make a thin paste and add it into the pot. Stir well. You will notice the soup thicken a little. 7. Turn the heat off and allow it to cool slightly. Pick out the bay leaves from the pot before using a hand blender or mixer to puree the rest of the mixture into a creamy, soupy texture. 8. Serve into bowls and garnish with some black pepper and chopped parsley. It’s the crusty bread to be eaten with it that really makes the meal for me! Yes – I’m totally with you. 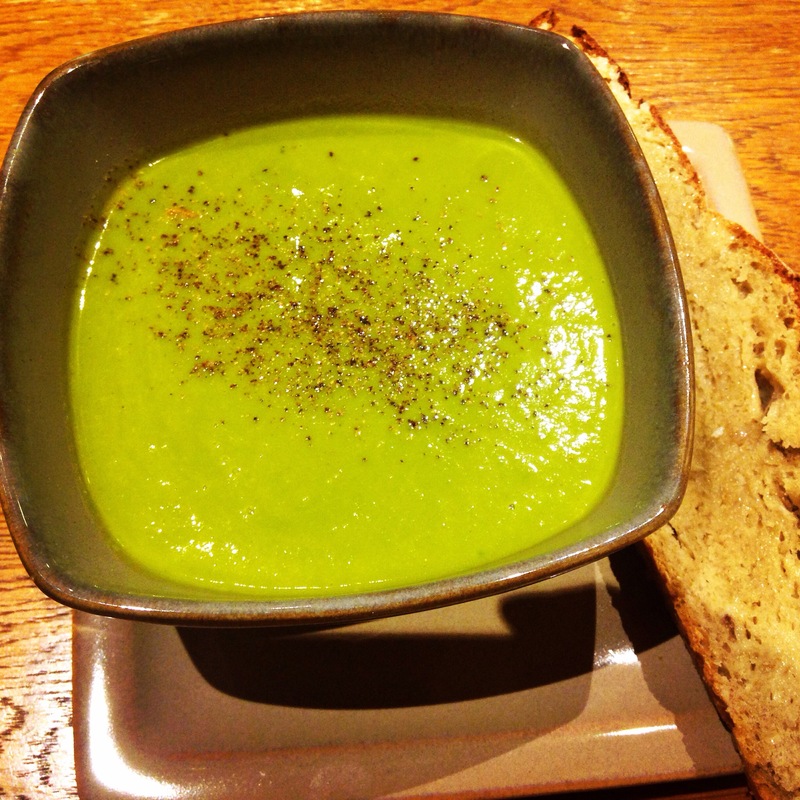 Green soup is great but it’s all about the crusty bread when it comes to soup!